Welcome to our 52nd edition of eSplash, the premier online newsletter for the aquatic therapy industry, reaching almost 5,000 subscribers every week. To thank you for your patronage, we have scanned our archives to bring you the 10 most-clicked stories of the past year. While money, bodily fluids and Acts of God seem to predominate everyone's interests, all is not lost; an actual therapy topic did make the cut at #10. So dry off, sit back and enjoy a trip down memory lane with us and all our past sponsors as we look forward to serving you again for Year Two. #2 Vomit, Blood and Stool in My Pool... Oh My! Did you know there is no public health reason to recommend closing the pool after a blood spill? 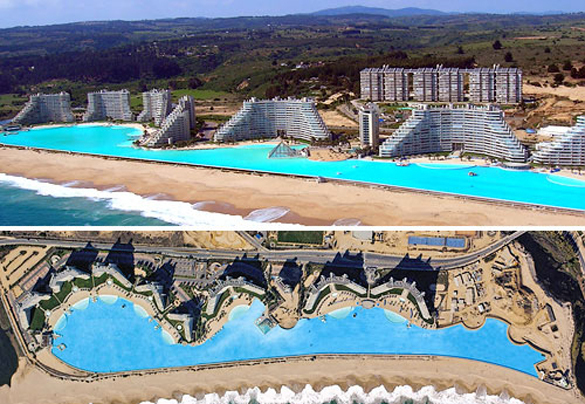 Wouldn't you want your pool to close after someone bled into the water? #3 MRSA Debate: Can it be transmitted? While there are many urban legends in the world of aquatics, one is by far the greatest of all--lightning and indoor swimming pools. The truth is, the practice of clearing indoor pools during outside thunderstorms does not keep people safe. #5 DENIED, DENIED, DENIED: Why don't they like us? #6 Who Says it's a Group? #7 Diarrhea: Do Swim Diapers Make the Grade? Many facilities are spending hundreds of thousands on their pools in hopes of attracting customers. If you are thinking about upgrading or building new, check out some of these luxury pools and be inspired.